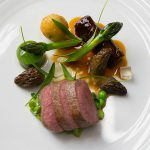 Lucknam Park is the home of fine dining in the South West, with a culinary brigade that goes from strength to strength under Executive Head Chef Hywel Jones. 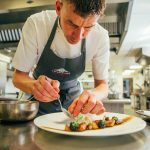 In the new Michelin Guide for 2019, Hywel Jones retains his star for the 14th year in a row. 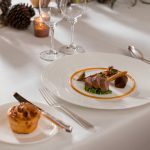 Dishes at Restaurant Hywel Jones include Poached Cornish lobster with new potato mousse and gribiche dressing, Roast day boat brill with ravioli of Cornish crab and sea vegetables and Wilshire honey crème brûlée with gooseberry and elderflower.